Rose, Pierce or James - Best Buzzer Beater? Check out the five U.S. Nike Hoop Summit alumni who went on to earn NBA Rookie of the Year. USA Basketball will announce its 2014 Male Athlete of the Year on Sunday, Dec. 21. These eight players, who saw the most game action for the USA Men's National Team during the 2014 FIBA Basketball World Cup, are all worthy candidates. 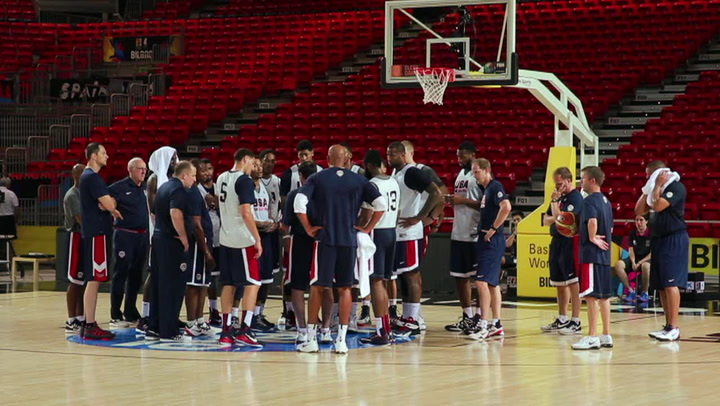 As the USA Men's National Team prepares to play in the 2014 FIBA World Cup final on Sept. 14, hear from head coach Mike Krzyzewski and some of his players as they talk about the journey to this point and what it means to represent their country on basketball's biggest stage.